In a rather interesting twist. The 2016 NASCAR Truck Series Non-Chase points were actually a closer points margin than with The Chase. That’s very differant than years past on the NASCAR Sprint Cup side of the oval racing ladder. 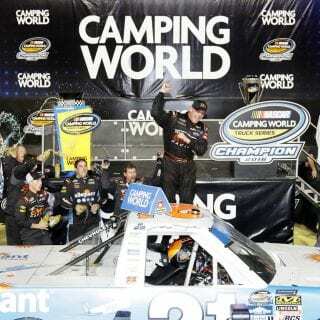 DAYTONA BEACH, Florida (Nov. 18, 2016) – After eight full-time seasons of racing in the rough-and-tumble circuit, Johnny Sauter earned his first NASCAR Camping World Truck Series championship Friday at Homestead-Miami Speedway. 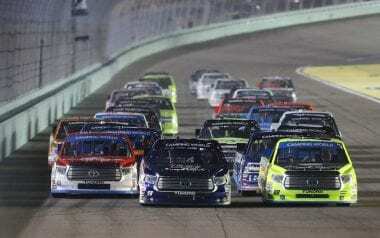 Sauter finished third on Friday night, outdueling fellow Championship 4 competitors Matt Crafton (seventh), Christopher Bell (eighth) and Timothy Peters (ninth) at the South Florida track. single-season top 10s with 19. 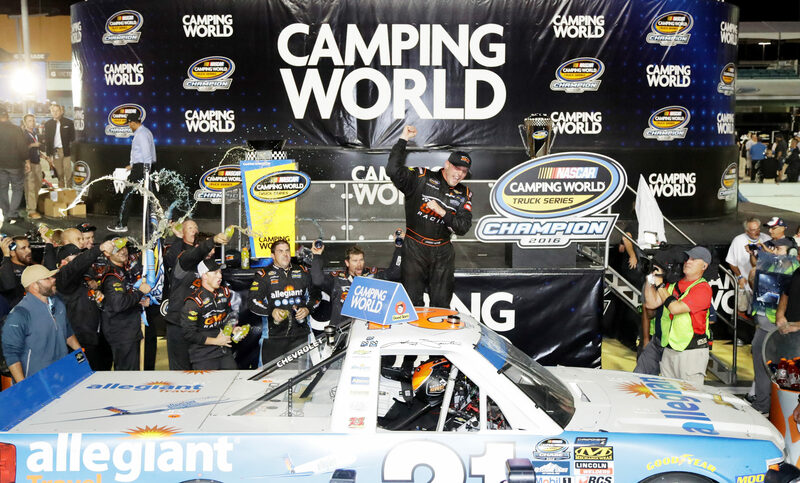 Sauter’s 13 career NASCAR Camping World Truck Series victories tie him for 11th most all-time in series history. The driver of the No. 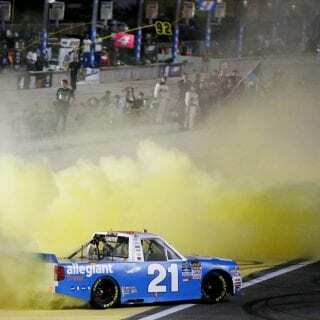 21 GMS Racing Chevrolet started his 2016 campaign with a bang – capturing his second career win at Daytona International Speedway and becoming the first driver to clinch a berth in the inaugural NASCAR Camping World Truck Series Chase. 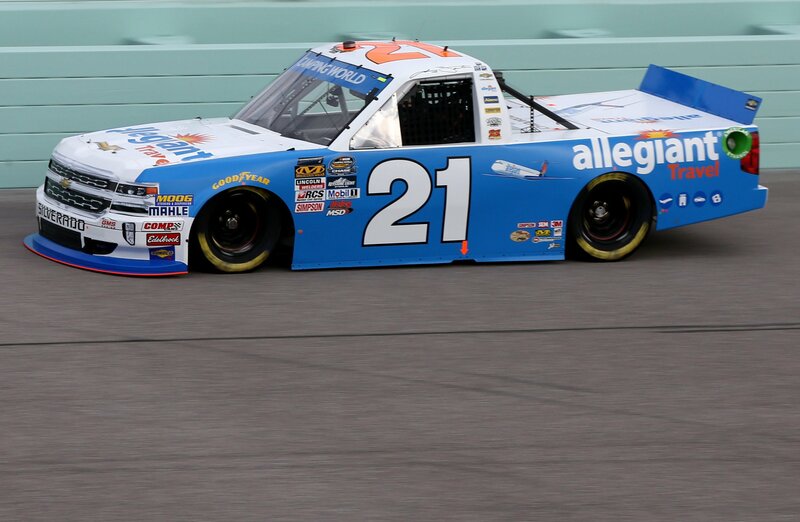 Once in the Chase, Sauter breezed through the Round of 8 with three consecutive top 10s. The veteran stole the show in the Round of 6, winning back-to-back races at Martinsville Speedway and Texas Motor Speedway and following those up with a runner-up at Phoenix International Raceway to set the stage for his championship-clinching performance at Homestead. 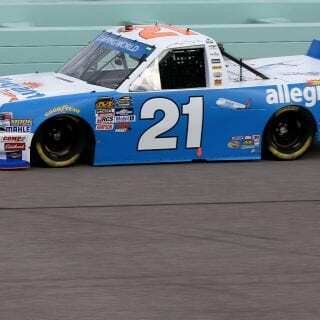 Sauter’s previous-best championship finish was a runner-up in 2011 with ThorSport Racing. 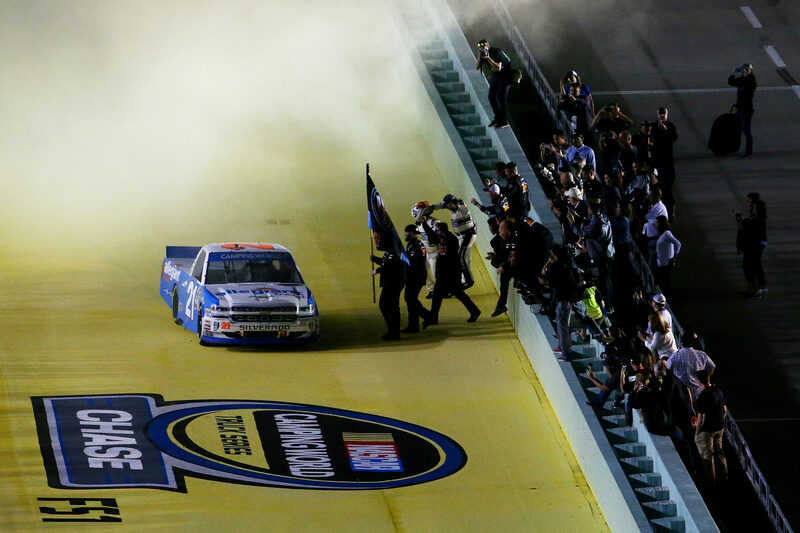 Until last night when he topped the 2016 NASCAR Truck Series points standings. 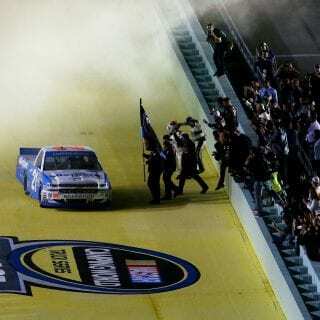 Also on Friday, William Byron won his seventh race of the season, capturing the series owner championship for the No. 9 Kyle Busch Motorsports Toyota. Byron also was named the winner of the Sunoco Rookie of the Year Award. Along with his seven victories, Byron tallied 11 top fives and 16 top 10s. 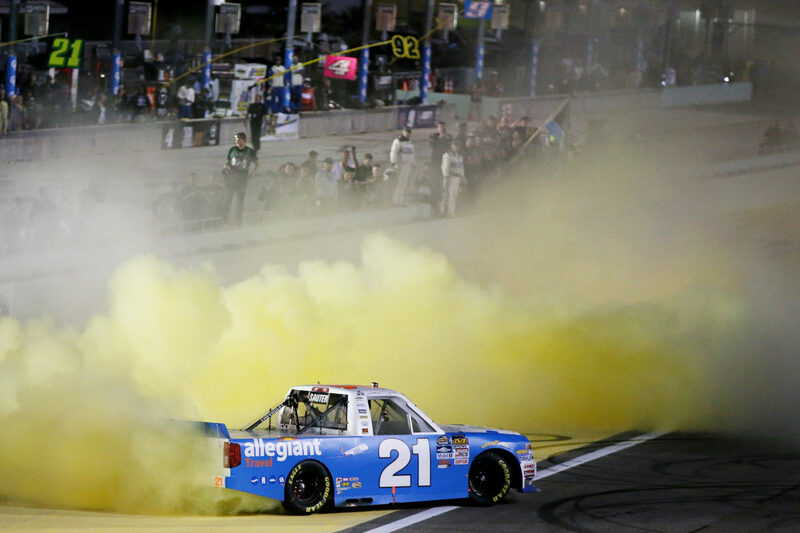 View the full 2016 NASCAR Truck Series driver standings below. The National Association for Stock Car Auto Racing, Inc. (NASCAR) is the sanctioning body for the No. 1 form of motorsports in the United States. NASCAR consists of three national series (the NASCAR Sprint Cup Series™, NASCAR XFINITY Series™, and NASCAR Camping World Truck Series™), four regional series, one local grassroots series and three international series. The International Motor Sports Association™ (IMSA®) governs the IMSA WeatherTech SportsCar Championship™, the premier U.S. sports car series. Based in Daytona Beach, Fla., with offices in eight cities across North America, NASCAR sanctions more than 1,200 races in more than 30 U.S. states, Canada, Mexico and Europe. For more information visit http://www.NASCAR.com and http://www.IMSA.com, and follow NASCAR on Facebook, Twitter, Instagram, and Snapchat (‘NASCAR’). For race tickets, visitwww.NASCAR.com/tickets.